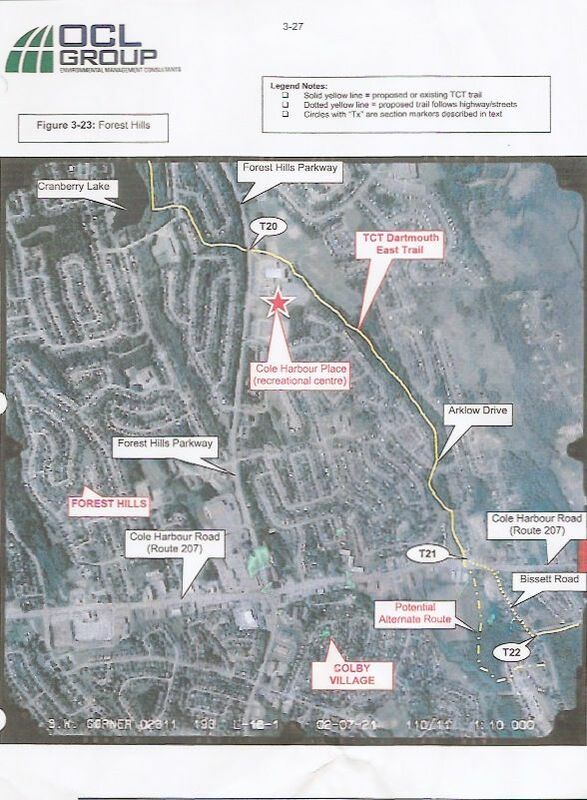 Cole Harbour Parks and Trails Association: New Forest Hills Trail coming soon! New Forest Hills Trail coming soon! Exciting news for Cole Harbour! 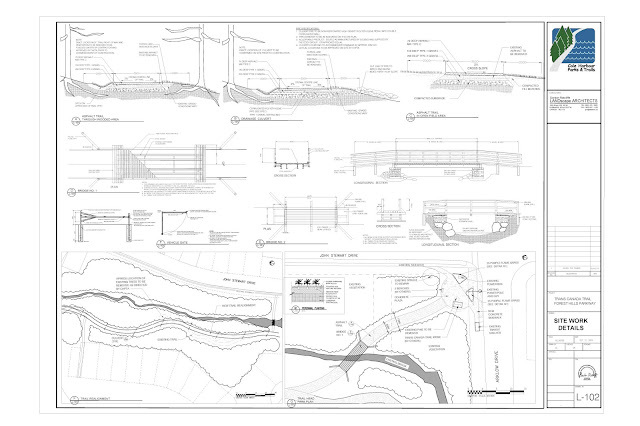 The CHPTA has been hard at work planning the construction of an extension of the Trans Canada Trail. 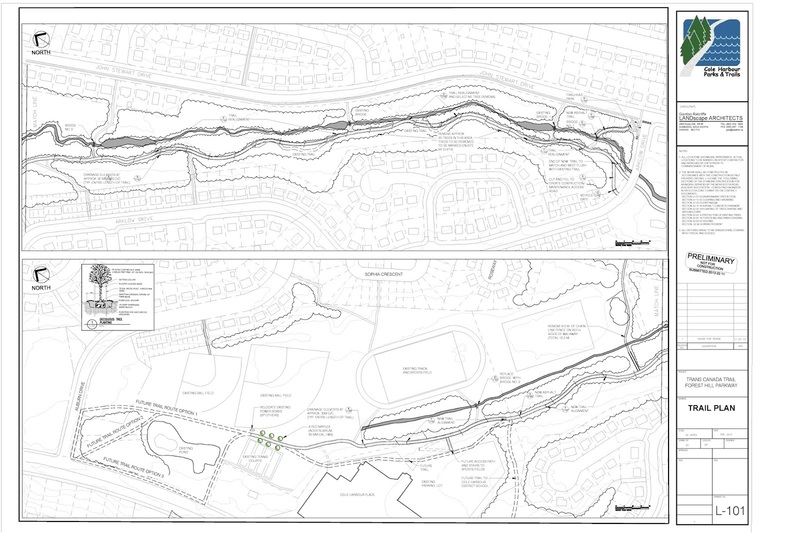 The first phase constructs a trail from the Corner of Arklow and John Steward to Cole Harbour Place (CHP). The second phase takes it from CHP to Main St. and future plans are to connect the trail to the existing Trans Canada Trail at Lake Charles. This trail will replace the existing Forest Hills Trail which runs parallel John Stewart Drive. The existing trail is narrow, not cleared in the winter, and has suffered significant heaving and deterioration over the past twenty years. The existing trail will be rerouted in some places and the existing paving will be completely replaced. The repaving is necessary due to the rerouting to straighten certain areas to improve trail usage and improve sight lines and visibility for security. Funding partners include Trans Canada Trails, the Province of Nova Scotia and HRM. The cost of the project is significant and we could use your help! Donations can be made here. You can support a legacy for our community, and get a tax receipt. Initial plans to complete construction and paving have been delayed due to issues gaining the license to begin work from HRM. If you are supportive of this project, don't hesitate to let your councillor know. Below are proposed plans for the construction. Stay tuned for more updates!